Southwest Airlines sue SWMonkey.com, a website committed to helping Southwest travellers obtain the cheapest airfares. The website was developed in November by Pavel Yurevic and his partner Chase Roberts. Both understood the toll of overpriced airfares, and developed a platform to help customers save money by purchasing tickets during drops in price. 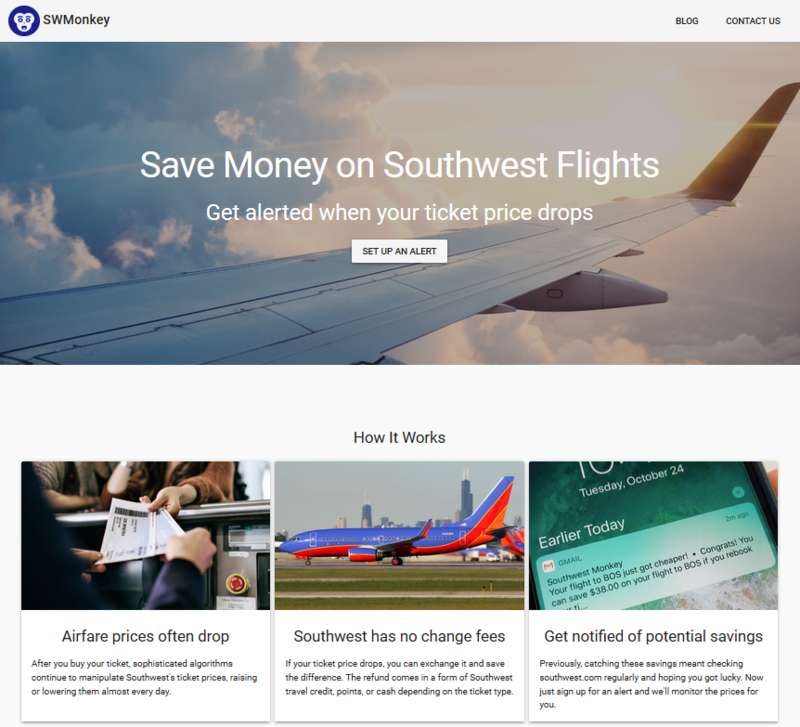 The website used data scraping methods to alert customers of price drops on flights they had previously booked, wherein which SWMonkey.com would charge $3 if the customer had saved at least $10 through the service. SWMonkey.com has received “a number of cease and desist letters demanding [they] shut down [their] website ‘immediately’”, and is now facing a lawsuit for computer fraud, violating terms and conditions of Southwest’s website, and violation of trademarks. Southwest Airlines explains that this data scraping method has created “violations of our website terms and unauthorised use of our trademarks”, resulting in “substantial” and unnecessary traffic to their website. Yurevich rebuts this statement, explaining to The Dallas Morning News that he feels this situation is “really kind of unfortunate” as they believe themselves not to be “a threat to their business in any way”. As of January 2018, the legitimacy of data scraping is still unresolved, as can be seen with recent test cases (e.g. LinkedIn vs. hiQ) that have not yet been decided. The site targetted SouthWest’s profitability. No big gorilla is going to sit idly by and let a little chimp take its food. The scraped data was visible on a public website. There was no value added to the data, either through conversion or merging it with another source(s). It was obvious where the data originated from. The website made it easy to track the owners of the site. Not sure at this stage how the data harvest was undertaken. Incorrectly configured crawlers can place a large load on sites which prevent legitimate customers from transacting effectively, and in some cases, inadvertently creating a denial of service attack. Make sure the business is operating as a limited liability company. This offers the directors and employees a degree of protection from being personally sued. Hosted the domain in an offshore data centre, in a country with low IP enforcement laws. Use web-based communication tools to retain anonymity. Use a professional data-scraper to harvest the data in an untraceble and discrete manner. This approach would have made litigation difficult and expensive for Southwest and thus, levelling the playing field.